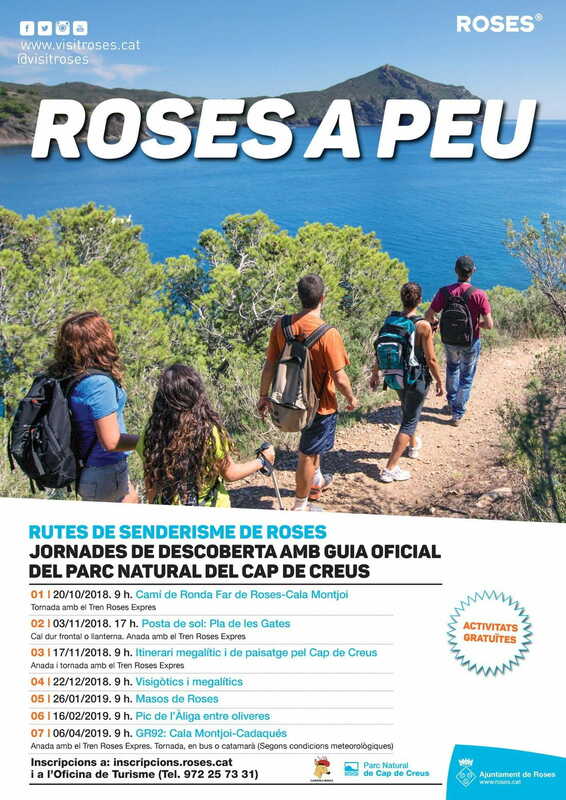 A route along the path that runs between the Lighthouse of Roses and Cala Montjoi will open on Saturday (October 20) the program of Hiking Routes that the Roses Tourism Office offers, in collaboration with the Natural Park of Cap de Creus and the Corzos Excursionist Association, until April 2019. A total of 7 itineraries by different places and points of interest of the municipal area, integrate this program that will be accompanied by official guides of the Natural Park of Cap de Creus. A very good opportunity to enjoy the beauty of our landscapes and to learn more about each place thanks to the official guide. Don't miss it!